Be the Force you are right! Haha, that would be so awesome! right? it's a scene that you see in many movies, I'm glad we think the same way. @snufkin Yeah, it's kind of tragic that some people I follow(ed) are so not on the same page as the ST, despite being otherwise rational and insightful. I have no idea what's causing this. Fortunately there's not anyone on the toxic TLJ hate train, but from the other direction, with either positive or mixed feelings towards TLJ, but with the belief that it was completely incompatible with TFA, and so is TROS. There is little discussion of continuity outside this community. I wonder how long the denial goes on. Do JJ, Rian, KK, the SG, Iger even, interview after release? How much do they reveal? Do we get an awesome bts doc with video release? Is it ROS? TROS? TRoS? I have no clue. I've been doing TROS. I don't expect Rey and Kylo's issues to be resolved in 10 minutes, certainly not in the first act. I get the impression these Rey and Kylo alone in the desert is no later than act 2. That's definitely not a climax or third act battle. 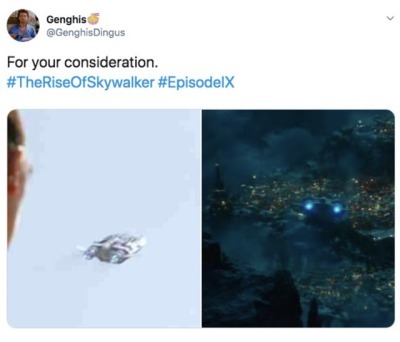 Combined with the fact they're already downplaying the evul Supreme Leader angle (did anyone even mention Kylo technically controls the galaxy/FO? ), this could very well not be a slow burn. Most people thought TLJ would be a slow burn too, I thought the end of the movie would end with a team-up, or the cliffhanger promise of one, but it went so quickly they got together and broke apart. The groundwork is already laid, he's not the big bad, and time has passed, so that should speed up the process a bit. If Kylo turns in the third act, that doesn't make him much different than Vader, despite the entire trilogy being centered around his conflict. Seems like a bit of a waste if it doesn't yield much more than Vader. 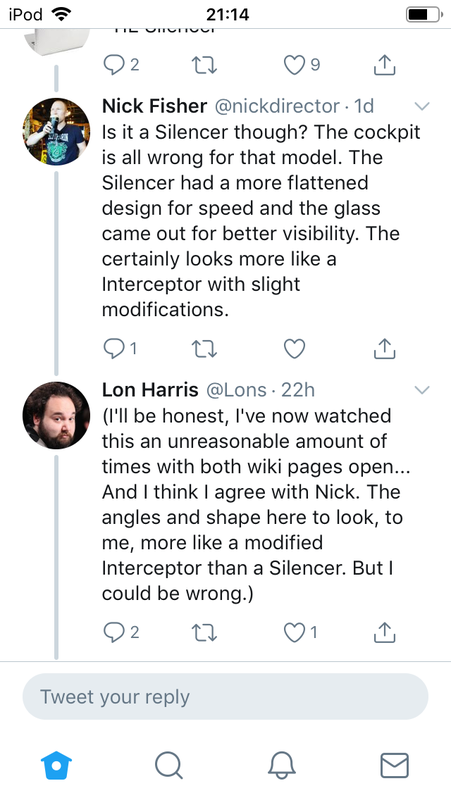 I'm mildly annoyed Kristian H. was right about an insane thing, but that did actually have some basis in canon. As opposed to ReyPoe, which has literally nothing going for it, and which Daisy just debunked along with FinnRey. Given that it was TFA that presented Rey's reliance of waiting for her family as passive, desperate, even delusional, keeping her in poverty and isolation and otherwise preventing her from achieving any potential, and showed her getting abandoned at a very young age, then told her that they aren't coming back and her future is in front of her, no behind, then totally dropped the Rey's parents angle halfway through, I'm inclined to think JJ won't mess with Rey's heritage. Rise of Skywalker is just kind of LF trolling the audience to get them talking. Power move, but I get it. and since they are in the theme of ships you have seen this ? seems look exactly like the same ship as the one in the beginning of the ROS trailer / Rey saw in her vision/past. I prefer TRoS. It kinda irks me when I see just ROS, but I guess I should just let it go lol does anyone go around just writing PM instead of TPM (maybe just saying Phantom Menace, but writing PM just seems weird. LJ instead of TLJ? FA instead of TFA? @whisperingwillow I thought it's just a part of helmet? @special_cases wrote: @whisperingwillow I thought it's just a part of helmet? It is lol. I just had a moment there where I was like what?? The screenshot threw me there until the picture you posted. @Teo oswald wrote: and since they are in the theme of ships you have seen this ? 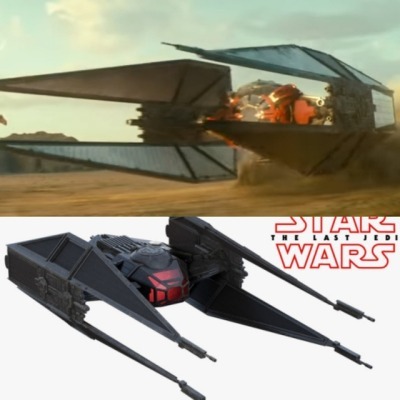 It could be the same ship, but I also read somewhere that the ships are A-wings, and if they are a common ship type like an X-wing or a TIE, it could be different people using the same model. I think the first article is usually ignored, unless it's a short title that has only three or less words (for example with The Lord of the Rings (and The Hobbit) we also have LotR, FotR and RotK without the first T, but TTT and AUJ instead of TT and UJ). The abbreviation for episode IX is probably so confusing because we already have the very similar RotS for episode III, so some people use TRoS/TROS to make them more distinguishable (and it gets even more confusing when people accidentally call the film "The Rise of THE Skywalker" and then use RotS or TRotS). @rey09 wrote: I buy what someone said before, it seems the desert scene is their first scene and he's coming to meet her but she's not thrilled. It is weird for it to be training but he's also not trying to hurt her. They are connected through the force so he might know/trust she will do the flip or something idk. The part that tells me that she knows he won’t hurt her is that she turns her back to his ship and starts running away from it, in the direction it’s going, to pick up speed before her jump. This could be their first meeting— and I think it ends with him out of the ship in that plaintive looking desert shot below, and potentially in talking with the Rey/ Finn/ Poe trio. But she knows she can turn her back on him, which says something— partly that she can read his thoughts if he turned violent toward her, yes, but also the knowledge that this isn’t in his plans. And never has been. As for the two of them facing off— I think there will be a lightsaber battle, early. I think he will win and disarm her— it’s time for him to win. 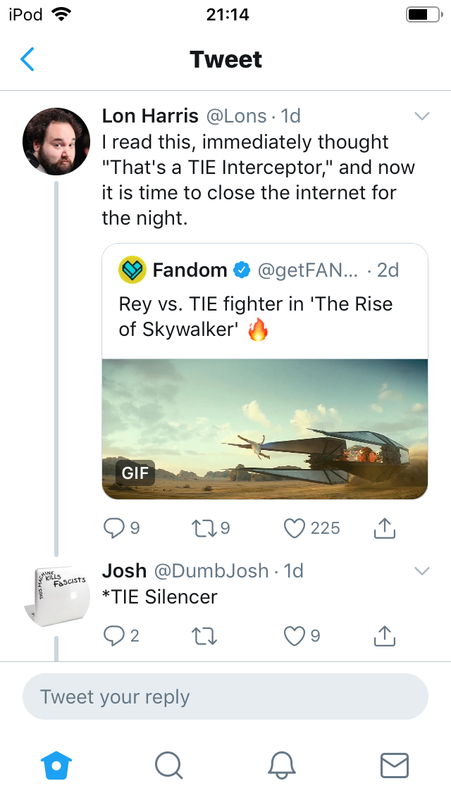 He lost in TFA, and in TLJ it was a tie. And I think he will throw away his own lightsaber and tell her he just wants to talk to her. @motherofpearl1 wrote: Rewatching the trailer, I've belatedly realised that the 'leap' Rey does at the beginning won't take her over the ship but instead will land her directly on top of it! It reminds me of Legolas mounting the horse in mid-gallop in The Two Towers— which was also in the trailer, and which I remember us watching over and over because it was amazing. Someone who knows how to insert a GIF, feel free. I'm still a bit leery of the Kylo-beats-Rey angle. Or Rey-beats-Kylo for that matter. If their relationship still relies on one person overpowering the other, that's not really great. They've trodden this ground before, the characters should be past this. It would result in endless discussions and horrid think pieces about how JJ gave into "Rey is an overpowered Mary Sue, how did she beat Kylo, the only struggle she can have is her ability to beat people up." There will be one side crowing victory because they don't like Rey and therefore do like watching her fail by a male figure overpowering her, while the other side goes on about how reactionary and misogynistic LF and JJ are in supposedly catering to the toxic faction of fandom. The fallout of Kylo defeating or even disarming Rey wouldn't be worth the discourse that would be tainted literally forever. I could see a stalemate, though. Like if they start to fight but don't actually finish. What if no one wins? In a way, the saber breaking was a pretty clear sign they're equally powerful, as if the force doesn't want them to fight. Instead of the force not choosing one person or the other, they've evolved to come to the conclusion themselves. 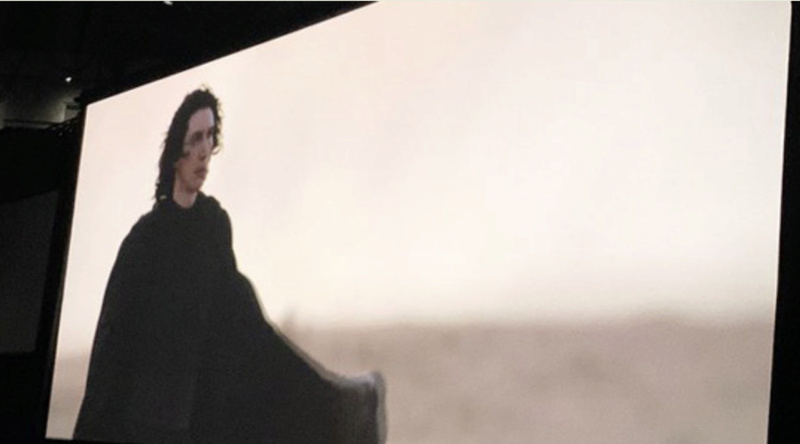 1) in the beginning of teaser, I think Rey is some kind of bait for Kylo, she is waiting for him and only when she sees that he is after her, she runs. I think resistance have some mission/business on that planet and FO is there too, so Rey tries to separate Kylo from others (Finn Poe and all are there too) so they could do what they are doing. also it is in the beginning of the movie and it is Rey-Kylo's first live meet after TLJ. 2) Leia is the one who holds the ANH medals, it's not young girls hands + you can say, who holds it has some memories/nostalgy about it. 3) Palpatin was there all this time, we know he had clone, or even he just didn't die, anyway he isn't ghost and it makes sense: it's last movie of this saga, you cant have Hux or someone new as big bad, even Snoke wasn't enough. so I think after ROTJ Plpatin wouldn't go out public, he would rise from shadows, it's his style after all )))) so he used someone (snoke) from outer rim, as public face. And remember Snoke (in real Palpatin) was obsessed with Vader and wanted someone with his bloodline to become new Vader, sounds like Palp/Anakin theme from prequels. and all thous abilities Snoke had (for example helping to connect Kylo-rey's mindes) is so like Palpatin. 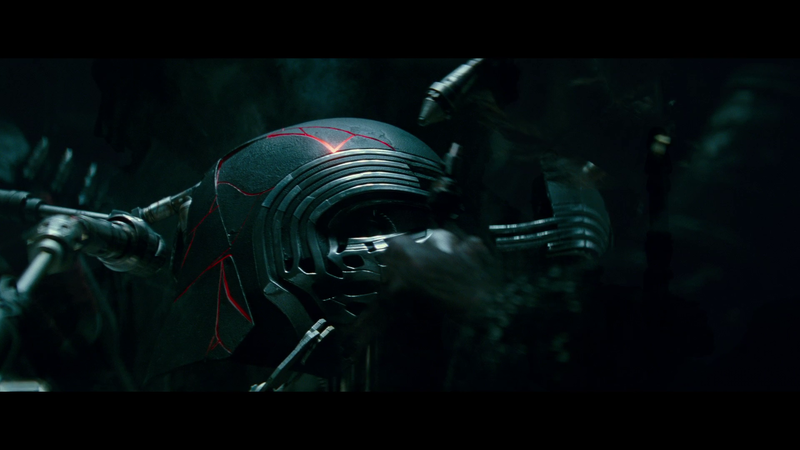 4) I think Kylo wont wear helmet and it will be more as artifact like Vaders helmet + new styled helmet with red lines will be new item for merchandise. But kind of not makes sense to throw helmet twice and return it on your head twice... + it's not Kylo he repairs it, so I think someone just does it like celebrities artifact ))) Lightseber, helmet and things like this are personal, so if he wanted it AGAIN he would repair himself. 5) the guy Kylo is fighting can be KoR or that guy from Rey's flashback in TFA, or just someone in FO vs Resistance battle. I don't think he's attacking her in the trailer. He would have shot her as she was running. Training or a rescue. @Gemini wrote: I don't think he's attacking her in the trailer. He would have shot her as she was running. Training or a rescue. why did he behave like this? the hypothesis is a training, however JJ said, if I'm not mistaken, that Rey read the books, and learned many things, jj said there will be incredible things. If in the scene we saw Kylo is training Rey, it means that Rey has accepted the offer. if Kylo is training Rey, would you imagine with ship and not in personal battle or force lessens ? I am happy to see I wasn't the only one to notice. I think it's Kylo's fashion sense inherited from his grandma. He had a black mask with some red so his ship must be the same way. 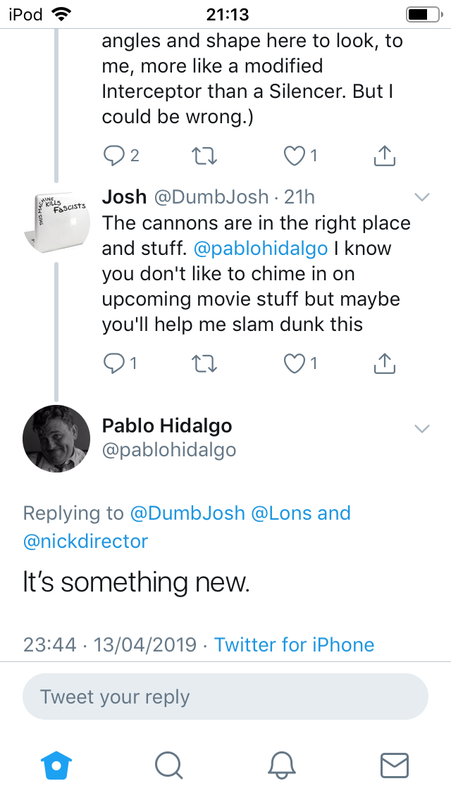 Pablo Hidalgo says it’s not Kylo’s TIE Silencer, it’s a new ship. As for advice, Lando should have gave him advice of how to charm a girl rather that how to devorate a ship. This way, the throne room would not have been the fiasco it was.